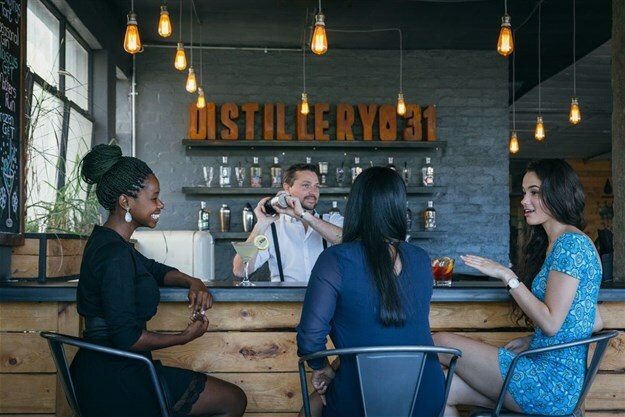 Distillery 031, as the dialing code inspired name would suggest, is a Durban based distillery run by Andrew Rall - the founder and master distiller. Well, only the fact that they distil an award-wining range that not only boggles the mind but includes three gins, vodka, rum, brandy, liqueur, absinthe and cachaca which is made from sugar cane. An impressive collection such as this warrants much closer inspection and tasting while we are at it! 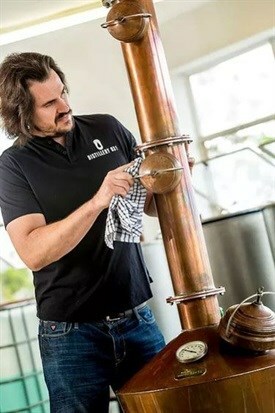 Andrew has been distilling for about 12 years with Distillery 031 coming in as the oldest craft distillery in Kwa-Zulu Natal and one of the first in SA. 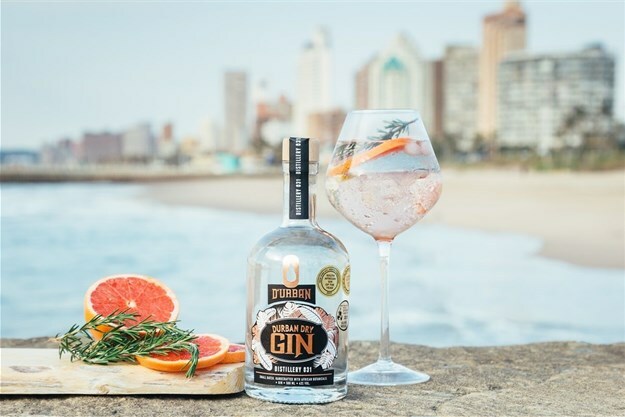 "We started distilling well before the Cape Town gin boom began." Andrew has always had an interest in spirits but for a long time, focused on quantity rather than quality. It was during his period living in the UK that he spent some time in Scotland and happened to fall in love with single malt whiskies. "Visiting whisky distilleries sparked an interest in distilling and quality spirits. About 12 years ago I was drinking with some friends when we started discussing why there were no quality spirits being made in South Africa. "This was long before the 'craft gin revolution' and at the time SA only produced good potstilled brandies. "So after some investigation, Andrew realised that the only reason that SA didn’t produce great spirits was that no one had tried and he took it upon himself to give it a bash. "My passion was (and still is rum) but along the way, I began to discover amazing craft gins in the US and Europe and fell in love with gin." 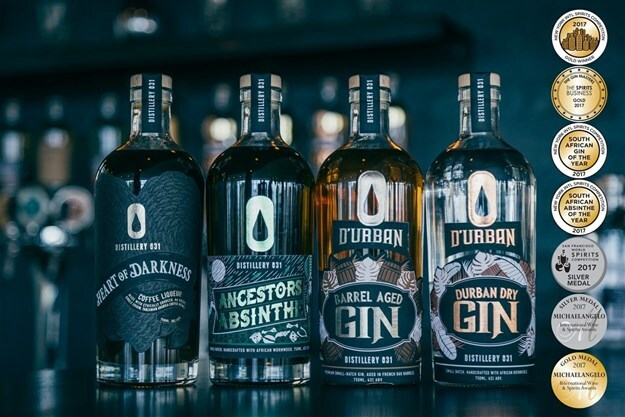 Regarding their botanicals, Distillery 031 lean toward both the classic gin botanicals as well as a few that are unique to Kwa-Zulu Natal. "We combine botanicals like juniper, coriander, cardamom, angelica root with unique botanicals like African Rosehip, coffee cherries and then some." 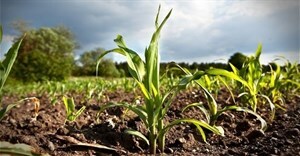 Where do the botanicals come from? They are sourced from around the world but wherever possible, Andrew tried to favour local ingredients with the exception of juniper which unfortunately is not cultivated here. "In fact, we are super fussy about the juniper berries we use in our gins and source them from Tuscany in Italy. The barrels we use for D’Urban Barrel Aged Gin are made with French oak (the same type as used to make Cognac) because they impart a very subtle flavour to the gin. We do use many local ingredients, however." So after some investigation, Andrew realised that the only reason that SA didn’t produce great spirits was that no one had tried and he took it upon himself to give it a bash. "My passion was (and still is rum) but along the way, I began to discover amazing craft gins in the US and Europe and fell in love with gin." For our Scarlet Gin they use cascara (the bright fruit from coffee cherries) which is sourced from Beaver Creek Coffee Estate on the Kwa-Zulu Natal South Coast. The world’s first gin made with cascara (coffee cherries) and winner of 3 gold medals (in San Francisco, New York & London)." The is a very bold and unique gin, not only for the colour but for the botanicals too. Scarlet, in spite of her name, is not for the faint of heart but is lovely nonetheless. To be honest, this is my firm favourite in their range, the ageing imparts a flavour that no still can give on its own. 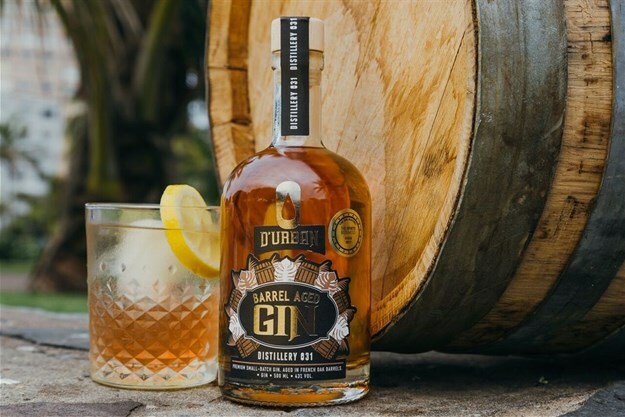 SA’s first barrel-aged gin and winner of a gold medal at the Gin Masters in London in 2017. 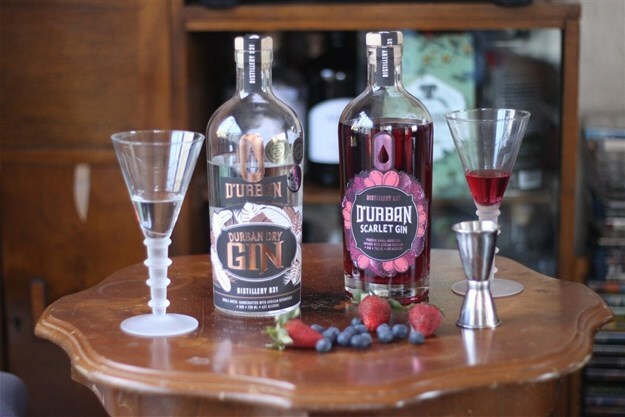 It’s interesting to note that their D’Urban Barrel Aged Gin is the first in SA and one of the first in the world. Apart from the gin distillation, Andrew was (and still is) involved in a number of other businesses. The most recent venture was the development of the Station Drive Precinct. This is Durban’s first urban renewal district and is similar to Woodstock in Cape Town and Maboneng in Jozi. Their website offers a comprehensive history of the various alcohols, this history behind the distillery and more importantly, how to book a tasting and tour of the distillery.